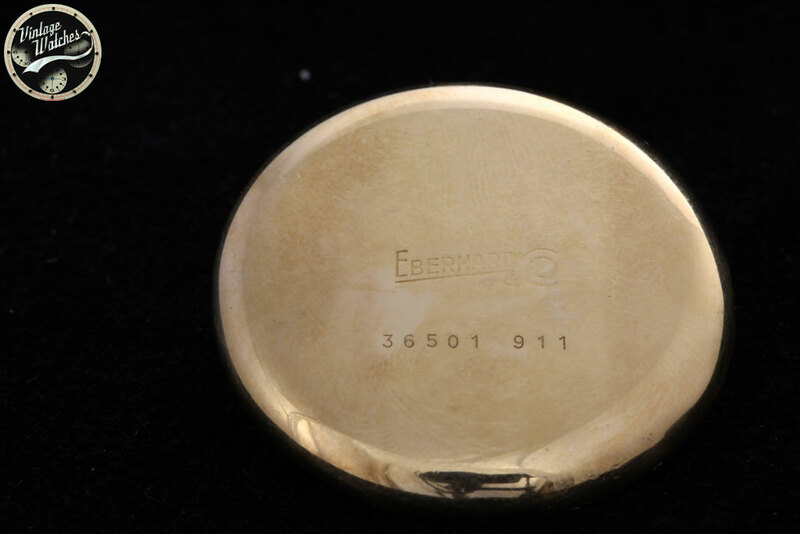 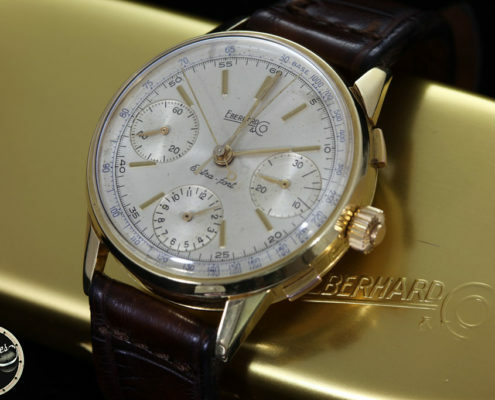 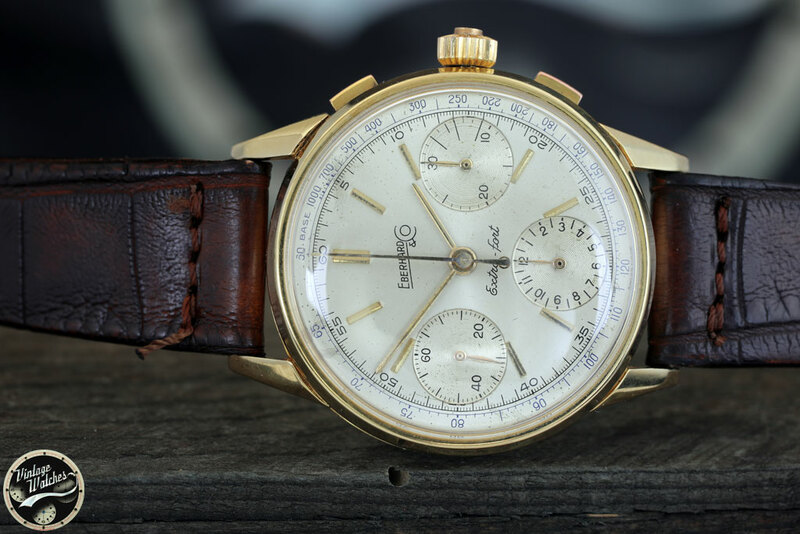 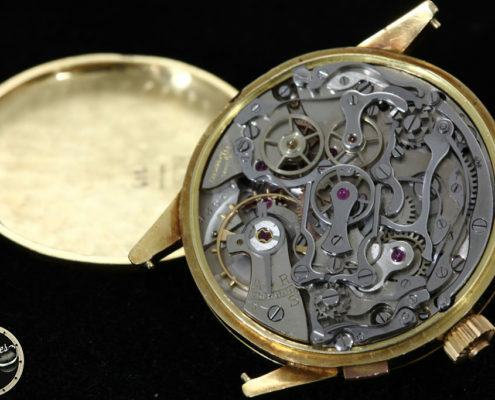 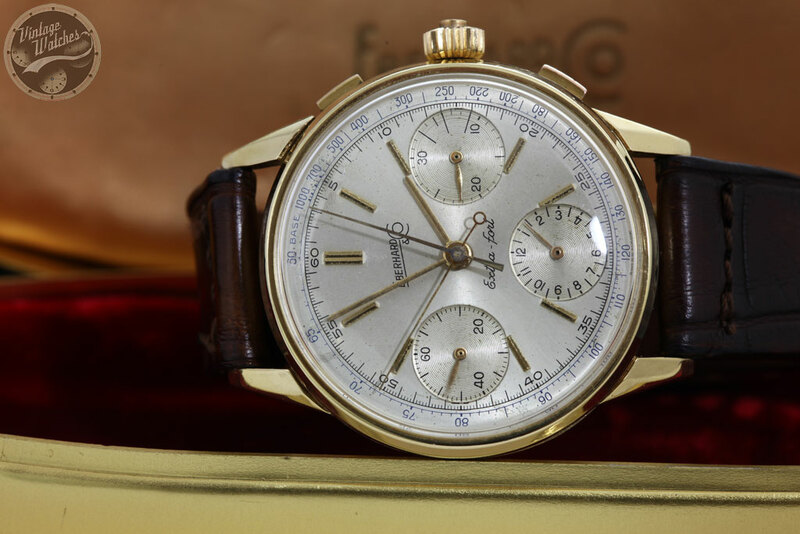 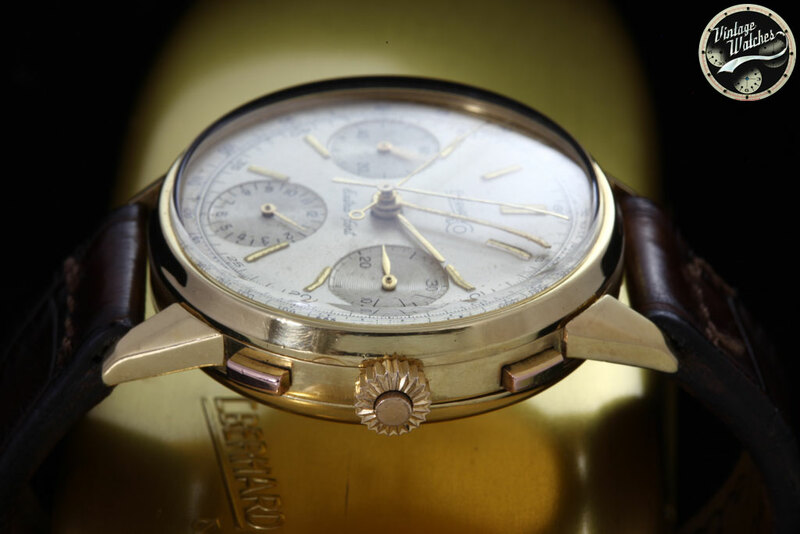 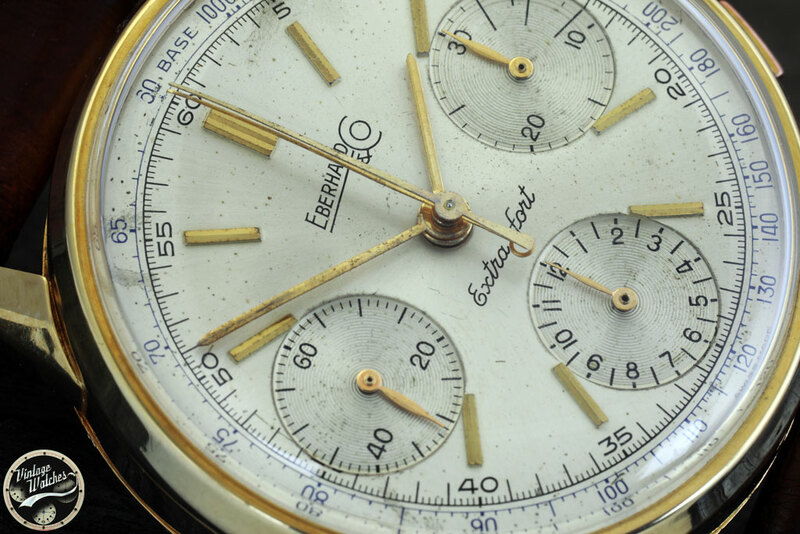 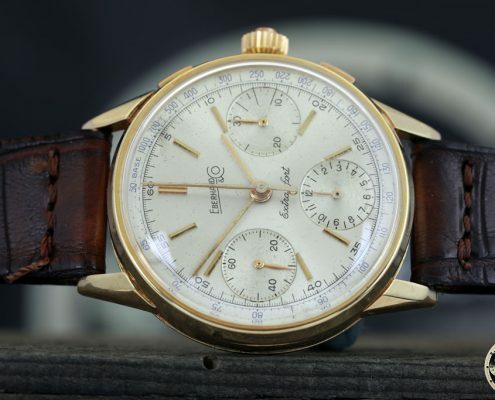 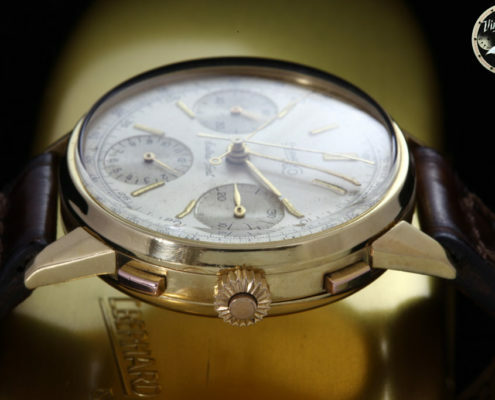 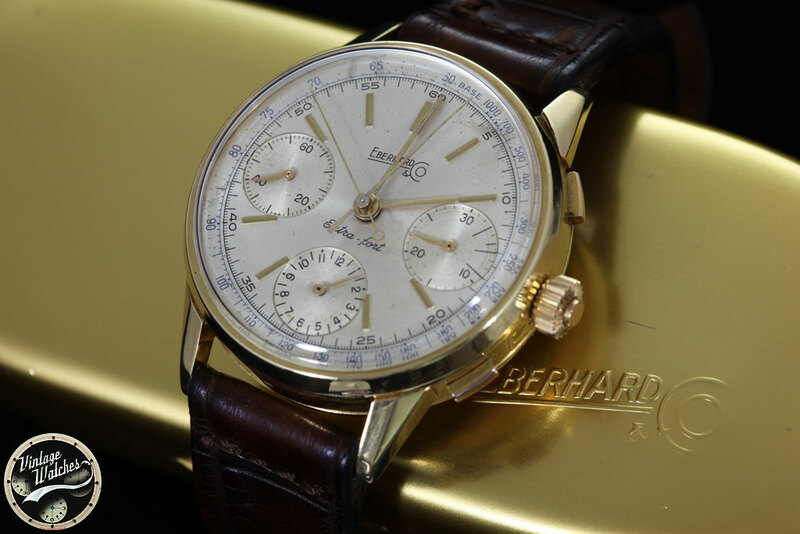 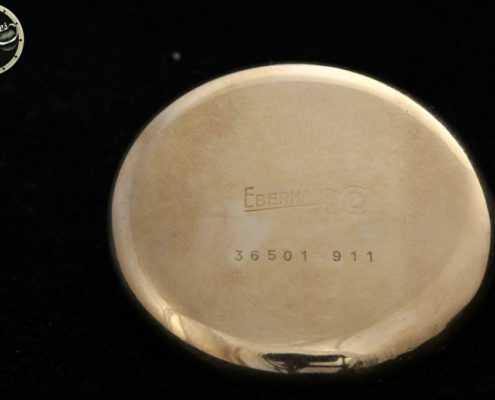 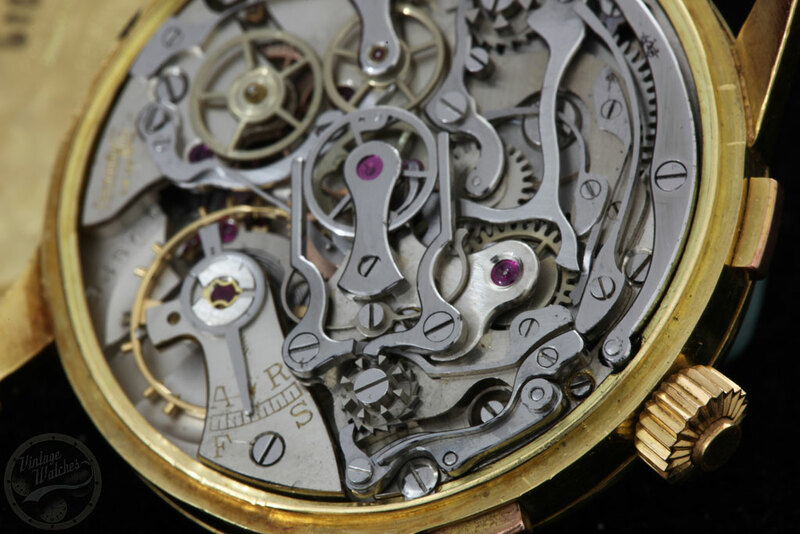 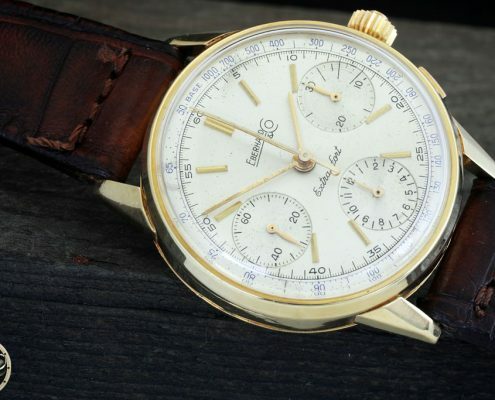 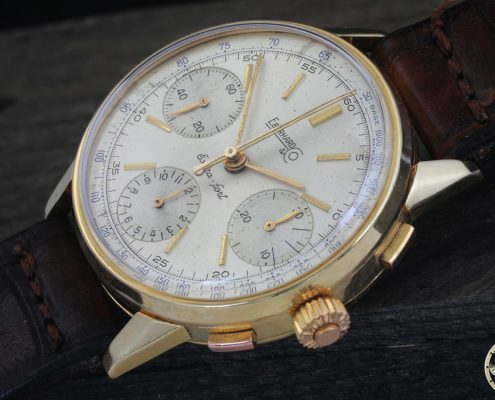 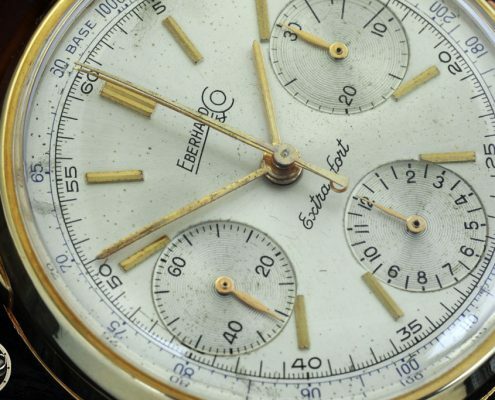 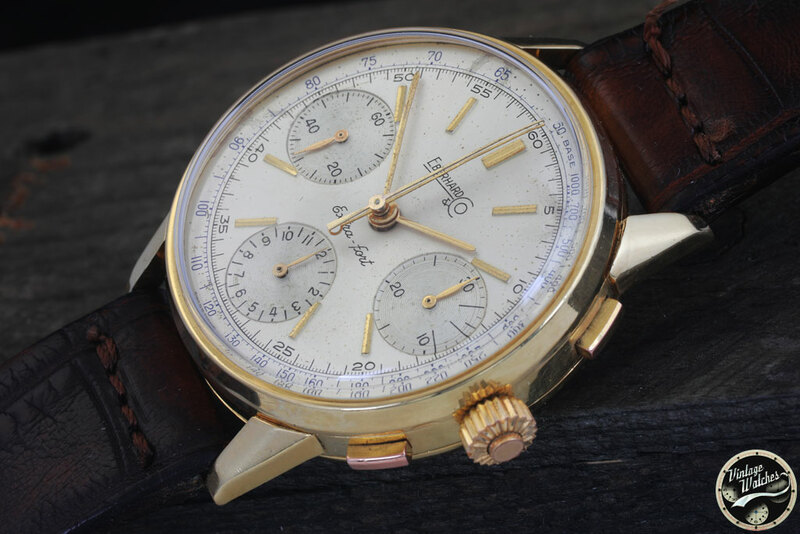 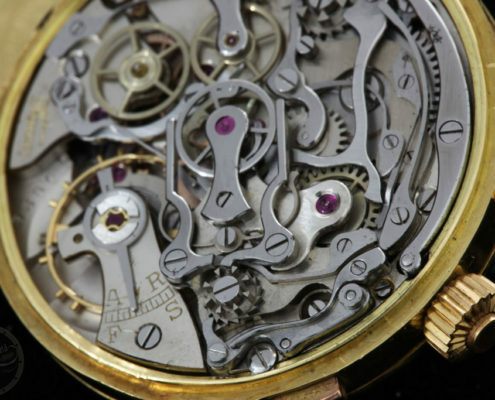 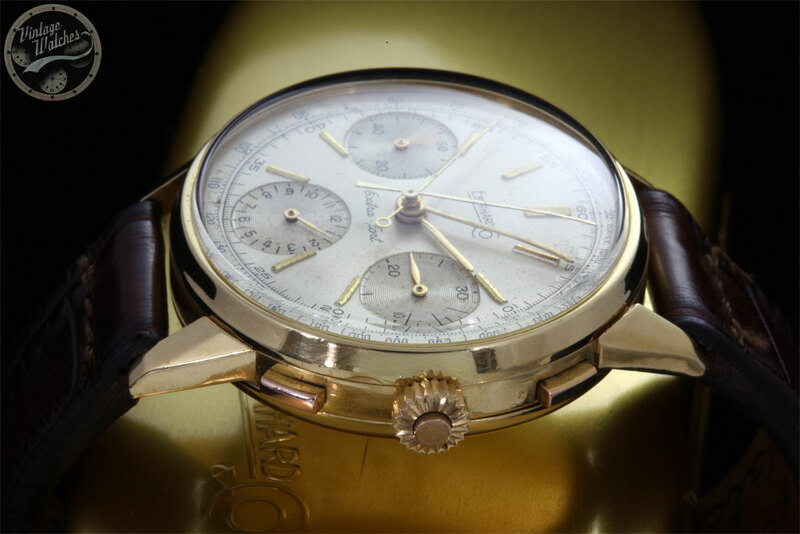 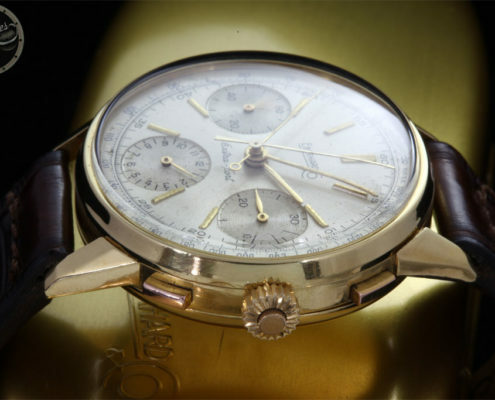 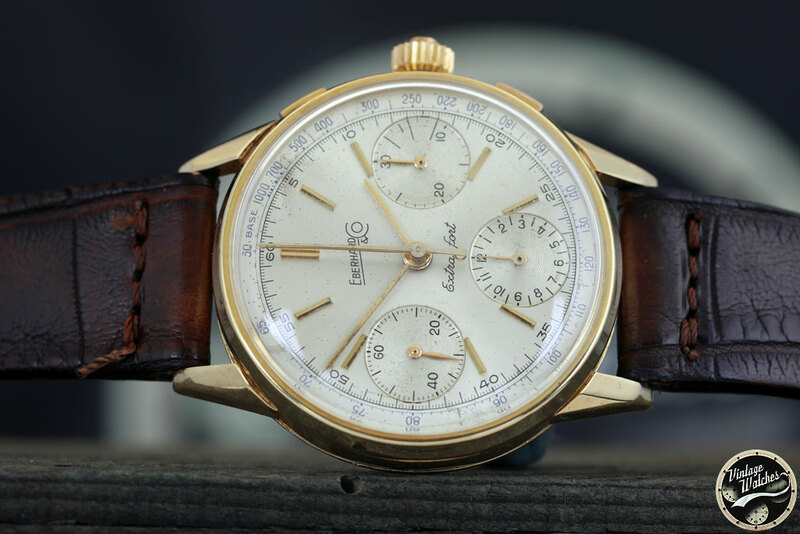 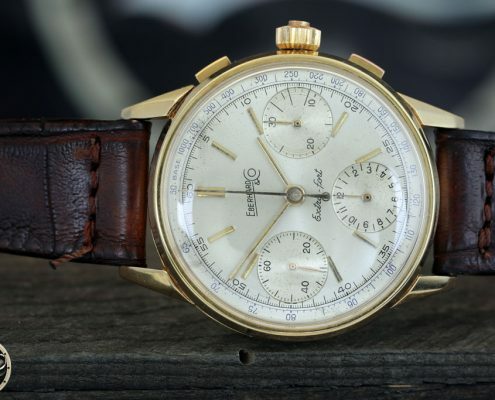 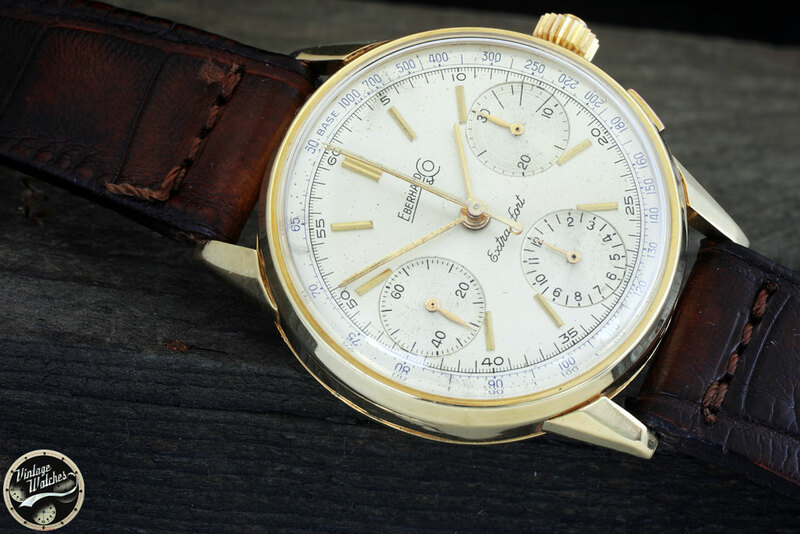 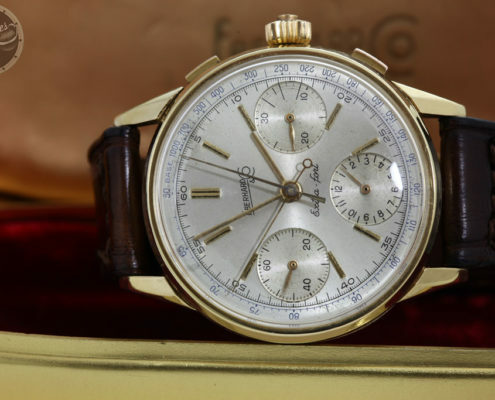 Case with rectangular botton chronograph, split second chronograph on the crown. 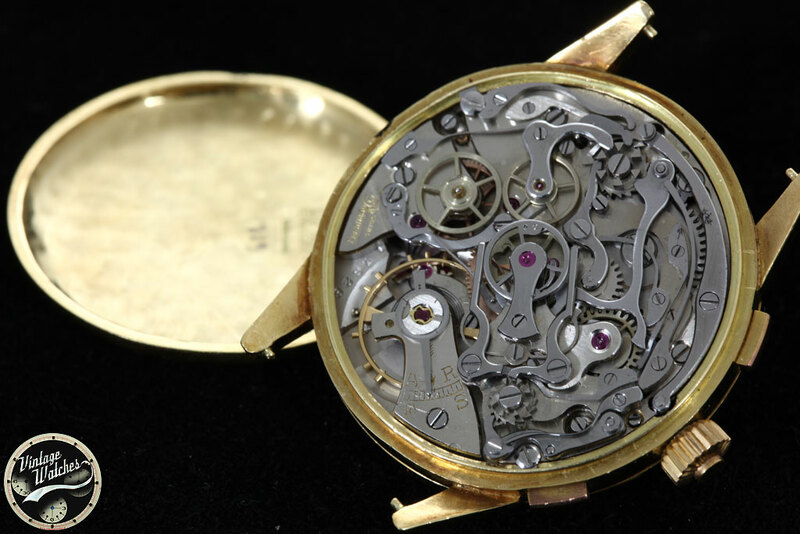 Satine silver dial with applied baton index. 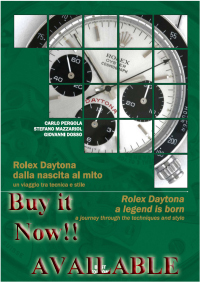 cassa con pulsante rettangolare cronografico, pulsante rattrappante in corona.